After I left the ship, most evenings found us in front of the gas fireplace in Alden’s living room, watching the red and yellow flames dance and play. This evening, as the hours passed, the conversation became more personal. Alden stretched his feet out at an angle on the wooden coffee table so we could look at each other. Then, suddenly, I was astonished by what I saw. It was the most fantastic thing ever! It appeared all at once, out of nowhere. A dazzling blue light shone before me. It was a clear turquoise ocean of light combined with an intense cobalt iridescence. The full spectrum of blue danced before my eyes. The only other light in the room was a small lamp pointing to the ceiling in the corner behind me, and the soft glow of the burning fire. But the blue light illuminated the entire room. Its brilliance was staggering. But what was even more amazing than the light itself was the fact that it was moving between our foreheads; it was concentrated like a neon tube floating back-and-forth. Before I could even decide what to say, I saw Alden reacting. He sat very straight. His eyebrows shot up and his eyes flew wide open. 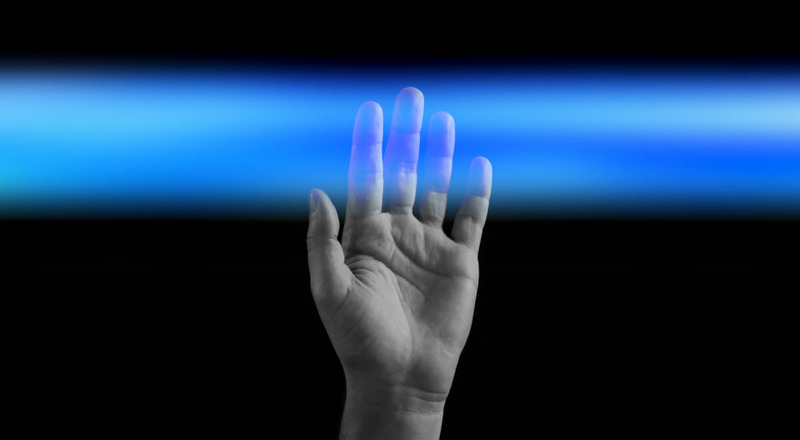 He reached out slowly to touch the light, cautiously waving his hand. His fingers went through the light unscathed. Deep aquamarine light particles twirled about in response.